We facilitate the annual meeting and research of the Society for the Study of Anglicanism, an international scholarly organization committed to excellence in promoting the study of the Anglican Church worldwide. CACS will encourage VTS Faculty and other scholars to be part of a movement to resource the academy with scholarly work on issues relevant to issues faced by people within the Communion. 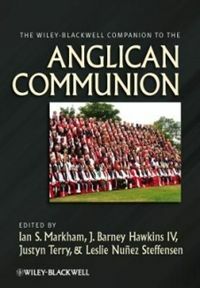 CACS spearheaded the research, compilation, writing and editing of the Wiley-Blackwell Companion to the Anglican Communionwhich appeared in 2013. An important alumni survey was conducted with generous funding from the Luce foundation and just published in the Journal. A clergy conference in Fall 2014 will draw on the major themes of this exploration of How do Episcopal parishes relate to other faiths – especially Islam? We continue to develop innovative ways to equip leaders with traditional and digital resources for transformative practices throughout the Communion. CACS has hosted, co-hosted and facilitated a number of key conferences from which important reports and research have emerged.